Produced by Brother Sundance, the video follows Di Leo through the streets and rooftops of New York City as well as along the Brooklyn Bridge as he performs his catchy, radio-ready single. The video is streaming online now here. Along with the video’s debut, a contest has been launched giving audiences the chance to win an all-expenses paid trip for two to see Di Leo live July 1 at the Brooklyn Bridge complete with complimentary meet and greet. The trip last from Friday, June 30 to Sunday, July 2 and also will include a $100 gift card. Contest information is available here. Di Leo’s music has made gotten a lot of airplay this year already, being featured on MTV’s Teen Mom and on a pair of GoPro camera ads. His new EP is currently scheduled for release this spring, with an official release date announcement expected soon. Pop rock group OneRepublic has come quite a long way since its initial formation 16 years ago. Over the course of now 16 years in existence, this Colorado-based band has seen the highest of highs and the lowest of lows and in the process, has gone on to become one of the most popular acts in the world, garnering millions of records and tickets sold. The band’s fame is certain to grow even more next Friday when its new live recording Live in South Africa is released in stores and online. Originally recorded June 19, 2015 at the Coca-Cola Dome in Johannesburg, South Africa, this 18-song, roughly 90-minute performance is one that will easily appeal to every one of the band’s fans, regardless of their familiarity with the band. That is due in no small part to the concert’s set list, which will be discussed shortly. The band’s performance will definitely do just as much to make the concert enjoyable to fans. It will be discussed later. The bonus material included with the recording also plays into that appeal. It will also be discussed later. Each element is important in its own right as will be discussed in this analysis. All things considered, they make the recording, again, one that will appeal to every one of OneRepublic’s fans. 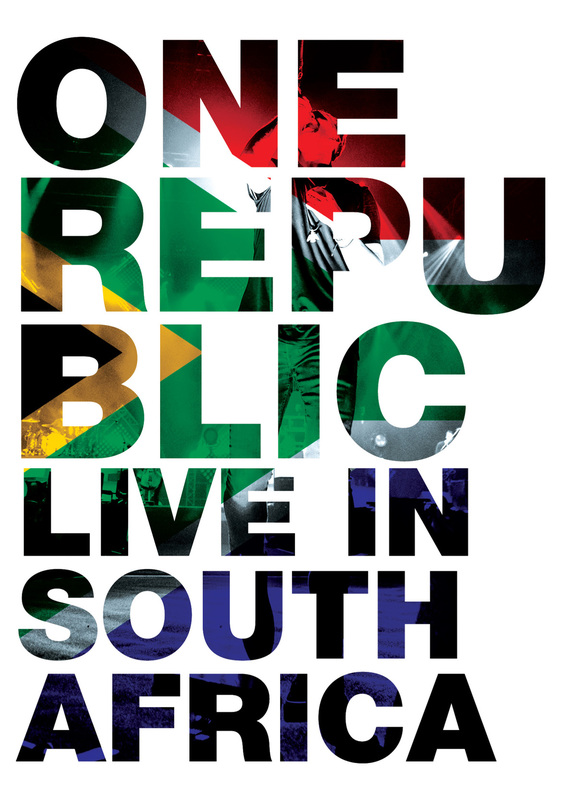 Live in South Africa, OneRepublic’s latest (and second) live recording, is a presentation that is certain to appeal to every one of the band’s fans. For that matter, it is a work that is likely to keep this superstar act’s fame rise even more upon its release. That is due in no small part to the concert’s 18-song, roughly 90-minute body. Originally recorded June 19, 2015 in Johannesburg, South Africa as part of the band’s “Native” tour, the set list lifts very liberally from the band’s 2013 album Native. More specifically, 12 of that record’s 13 total songs are included in this set list while the band’s 2007 debut album Dreaming Out Loud only gets two nods. Waking Up, the band’s 2009 sophomore album gets three nods. The 18th song is the band’s cover of Louis Armstrong’s timeless classic ‘Wonderful World.’ Given, it would have been nice to have seen more balance between the band’s then three albums. But the band cannot be faulted for trying to put as much attention as possible on its then most recent album. That is especially the case since the band’s breakthrough hit ‘Apologize’ (from the band’s debut album) is included here along with three other hit singles from the band’s sophomore record. To that end, the band is to be commended for giving audiences music from the early portion of its life while also pushing forward with such a heavy representation of its then most recent album. While the set list is important because of the album representation, that is only one part of what makes the set list important. The actual ordering of the songs is just as important to its whole as the songs themselves. The balance of energy from one song to the next is impressive, smoothly moving up and down from one song to the next. The almost ethereal feel of the concert’s opener ‘Don’t Look Down’ is so powerful in its own right. In the same breath, the controlled, yet driving energy of its follow-up, ‘Light It Up’ makes for a solid transition that easily keeps audiences engaged and entertained. The more reserved energy of the concert’s third entry, ‘Secrets’ makes for another strong change that keeps the set list moving fluidly and interestingly, too. This is just the beginning of the varying energies exhibited throughout the set list. It rises and falls just as smoothly throughout the rest of the concert, ensuring just as much, audiences’ engagement. When this obviously well-thought out organization is considered alongside the thought put into the concert’s very set list, it becomes clear why the concert’s st list plays so strongly into making this concert appealing for OneRepublic’s fans. It is only one part of what makes the recording in whole so appealing for fans. The band’s performance of said set list is also key to the concert’s appeal. As already noted, the fluidity of the energies in this concert’s set list are pivotal to its overall presentation. That is because of how much they do collectively for the concert’s viewing experience. On a directly related note, the band’s performance plays hand in hand with those energies. Front man Ryan Tedder easily keeps audiences engaged as he makes his way around the stage and even into the crowd at one point while his band mates — drummer Eddie Fisher, guitarists Zach Filkins and Drew Brown, and bassist/cellist Brent Kutzle — keep the energy moving with their own performances. Fisher’s time keeping is spotless throughout the show, keeping the band in time with ease while Filkins and Brown put on their own displays of talent. At one point, audiences even get an extended, awe-inspiring flamenco performance from one of the pair. Kutzle’s work on the cello adds so much emotion whenever it is added to the songs, making them that much more engaging and entertaining. When each man’s part is joined with those of his band mates, the end result is a performance from all involved that will certainly entertain audiences. It is not the last of the recording’s most vital elements either. The bonus material included with the recording’s home release is important in its own way, too. PBS and its hit concert series Austin City Limits celebrated two major landmarks for the series this fall. This past October Austin City Limits celebrated forty years on the air. That landmark makes the concert series the longest-running concert series on television to date. Making the anniversary even more special is the fact that this October, the show’s original studio was added to the Rock and Roll Hall of Fame’s tenth Rock and Roll landmark. Both of these marks are big honors for ACL and for PBS. 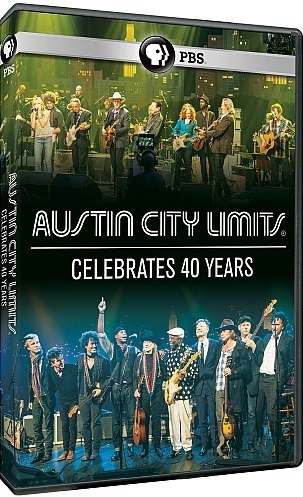 In honor of these honors, PBS released on DVD today the brand new concert recording Austin City Limits 40 Years. There is a lot to like about this concert recording starting with the show’s all-star lineup. Featured in the concert is a who’s who of the music industry. 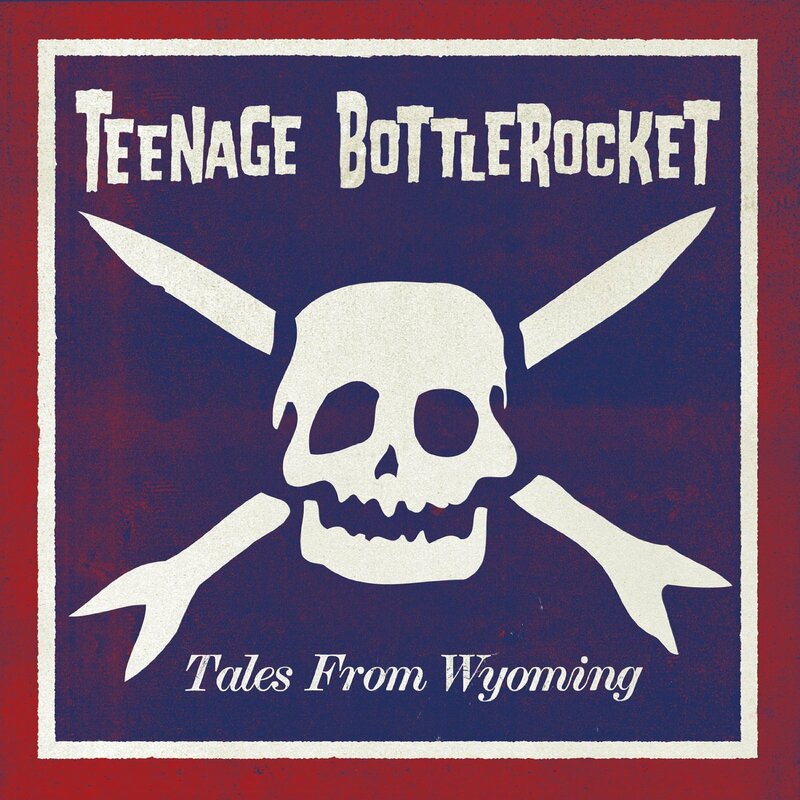 It features legendary names such as: Willie Nelson, Buddy guy, Bonnie Raitt, Kenny Wayne Shepherd, Foo Fighters, and even the original members of Double Trouble among so many others. There are even performances from up-and-coming blues/rock band Alabama Shakes. It’s a display in its own way of how many generations this series has reached over the course of its four decades on the air. Making the set even better is the concert’s set list. Emmylou Harris covers Willie Nelson’s hit ‘Crazy.’ There’s also an all-star tribute to Sam & Dave with a performance of ‘Wrap It Up.’ And just as enjoyable is the multi-song, all-star tribute to blues legend and Austin native, the late great Stevie Ray Vaughan. These are just some of the examples of what makes the show’s set list so important to the presentation in whole. Last but hardly least noteworthy regarding the recording’s success is its bonus material. 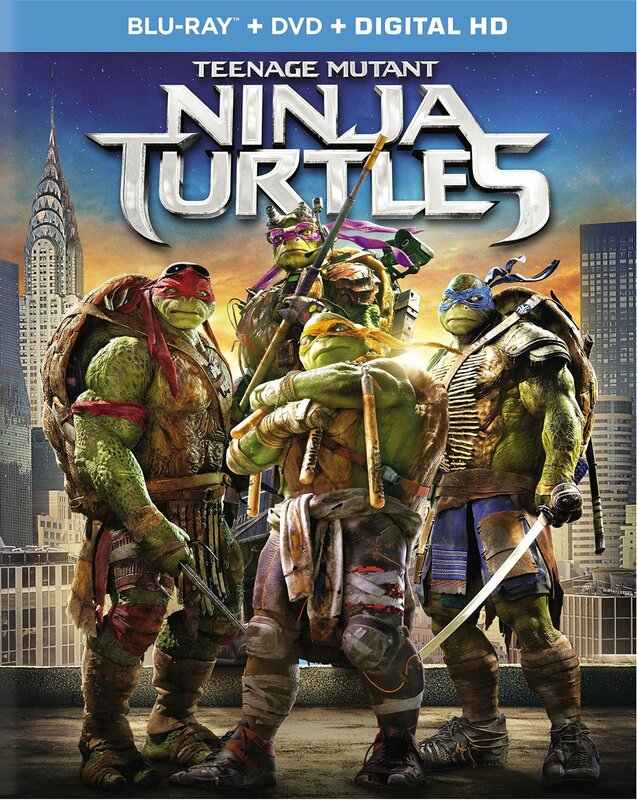 Included as bonus material, is forty-five minutes of bonus performances. There is also a bonus behind-the-scenes look at the work that went in to making Austin City Limits Celebrates 40 Years a reality. It’s all set against a great performance of SRV’s hit song ‘Texas Flood.’ These bonuses, partnered with the show’s all-star list of performers and its equally wonderful set list, serve to help make Austin City Limits Celebrates 40 Years one of this year’s surprise best new live recordings of 2014. It also serves to show yet again why PBS is the last bastion of worthwhile programming on television today. Austin City Limits has been on television for forty years this year. That is a huge landmark for PBS’ concert series. It has outlived MTV’s Unplugged Series. It has also outlived VH1’s Storytellers and CMT’s Crossroads. In the four decades since it made its debut, ACL has gone from focusing on just one or two genres of music to being one of the preeminent destinations for some of the music industry’s biggest names. Elvis Costello has been on the show. Kings of Leon appeared just last year. And even none other than Nine Inch Nails appeared this year. It just goes to show how much this show has grown since its earliest days as has its importance in the music industry. That is shown just as much in the list of performers tapped to appear on Austin City Limits Celebrates 40 Years. The list of performers tapped to appear on this recording is a who’s who of the music industry from past, present, and even the future. It includes the likes of Willie Nelson, Bonnie Raitt, Buddy Guy, Foo Fighters, Sheryl Crow, Guy Clarke, Jr., Kenny Wayne Shepherd, Emmylou Harris, and up-and-coming blues/rock band Alabama Shakes and so many others. With such a wide swatch of performers, that list becomes for all intents and purposes a music history lesson live on stage. It shows not only where ACL has been and where it is going but where music itself started and to where it has come today. And every act tapped to perform is an excellent example of both histories. It’s just one of plenty of reasons that audiences will enjoy this DVD. The list of performers tapped to perform on Austin City Limits Celebrates 40 Years is itself plenty of reason for audiences to pick up this brand new release from PBS. That list is itself a music history lesson and a lesson on the history of ACL. The performers themselves serve as plenty of reason for any music lover to check out this DVD. The songs that they perform make the recording just as enjoyable if not more so. Audiences will love Willie Nelson’s performance of the classic song ‘On The Road Again,’ and Emmylou Harris’ cover of Willie Nelson’s ‘Crazy.’ If that’s not enough, there is a star-studded, multi-song tribute to Austin, Texas’ own Stevie Ray Vaughan. That tribute features performances from Buddy Guy, Kenny Wayne Shepherd, and almost every member of the a-list cast of performers. There is also a special tribute to Sam & Dave in the performance of ‘Wrap It Up.’ That song is handled by Bonnie Raitt, Jimmie Vaughan, Gary Clark, Jr. and Brittany Howard from Alabama Shakes. As if all of that wasn’t enough, the star-studded tribute to SRV is complemented with an equally gran tribute to Buddy Holly. These are just some of the performances included in the concert that audiences will enjoy in watching this recording. There are plenty of other great performances along the way that audiences will enjoy just as much. Collectively, all of those performances make for yet another wonderful reason for every music lover to see this concert. If the who’s who list of performers tapped for this concert and their performances aren’t enough for audiences, the bonus material included on the DVD will convince audiences. PBS has included forty-five minutes of performance footage as bonus material on this DVD. That forty-five minutes includes a performance of ‘Roll Me Up and Smoke Me When I Die’ from Willie Nelson and ‘Freight Train’ from Gary Clark, Jr. and Sheryl Crow among the bonus performances. Robert Earl Keen handles ‘I Gotta Go’ and Joe Ely covers ‘All Just To Get To You’ as part of the bonus performances, too. Partnered with that is a special behind-the-scenes look at the concert set against a performance of SRV’s hit song ‘Texas Flood’ by Buddy Guy, Willie Nelson, Lyle Lovett, Robert Randolph, and others. It’s a double whammy for audiences. Not only does it give audiences a behind-the-scenes look at the concert from pre-pro to show but it also offers audiences a bonus performance. Audiences are given another bonus performance by Bonnie Raitt and company in their rehearsal for their performance of ‘Wrap it Up.’ It’s a nice finisher to a concert recording has already more than proven itself one of this year’s best. Together with the aforementioned list of performers and set list, it pushes this recording over the top, once again proving why ACL has run so successfully for forty years and why its original studio is now part of music history thanks to the Rock and Roll Hall of Fame. It shows once more why PBS is the last bastion of truly worthwhile programming. So much can be said of what makes Austin City Limits Celebrates 40 Years a success and a total enjoyment. And so much has been said, obviously. It goes without saying that the show’s production values are just as impressive as everything else already noted here. Whether one is taking in the concert on a regular TV or one with a high-priced surround sound home theater system, every viewer will agree that all of the other positives noted here would be nothing without those top notch production values. The concert looks and sounds just as good as other performances recorded over the years. It is that proverbial cherry on top of the musical sundae that is this recording. It is that last part that makes this recording well worth the listen by music lovers of every age. PBS’ Austin City Limits hit a major milestone this year. The network’s hit music series celebrated forty-years with PBS. In celebration, PBS is releasing a special DVD celebrating the long-running series next month. PBS will release Austin City Limits Celebrates 40 Years on Tuesday, December 2nd. Austin City Limits’ four-decade long run on PBS is especially important to both the network and to music lovers alike. In the four decades that Austin City Limits has been on PBS, it remains the only TV series to be awarded the Medal of Arts. Also in that time, MTV’s Unplugged and VH1’s Storytellers have gone by the wayside. 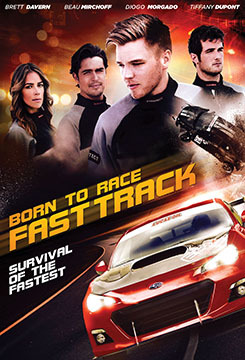 And even CMT’s on Crossroads series has failed to maintain the stability and reputation of ACL. Throughout its now forty-years on television, ACL has seen and continues to see some of the industry’s biggest names take to the stage. Those names include the likes of Elvis Costello, Foo Fighters, Nine Inch Nails, and so many others. Many more names are sure to be added to that list as there appears to be no end to this landmark series. In honor of the series’ fortieth anniversary, many of those same big names have come on board for this celebratory concert. Bonnie Raitt joins Jimmie Vaughan, Gary Clark, Jr and Brittany Howard from Alabama Shakes for a performance of the Sam & Dave classic ‘Wrap It Up’ to open the concert. Howard returns later in the show alongside Gary Clark, Jr. for a special performance. Willie Nelson, the red-headed stranger himself, joins Emmylou Harris for a performance of Nelson’s ‘Crazy.’ Singer/actor Kris Kristofferson and Sheryl Crow team up for a performance of Kristofferson’s ‘Me and Bobby McGee. Foo Fighters even make an appearance to perform Roky Erickson’s ‘Two-Headed Dog.’ That performance was recorded at the original ACL television studio especially for the concert. Actor Jeff Bridges hosts the night’s festivities. He also performs a special rendition of ‘What A Little Bit Of Love Can Do’ from the late singer-songwriter Stephen Bruton. Bruton was a big influence on Bridges’ Oscar-winning role in the movie ‘Crazy Heart.’ As if all of this isn’t enough, Joe Ely and fellow local legend Robert Earl Keen make an appearance. Blues legend Buddy Guy rounds out the show with a performance of ‘Mary Had a Little Lamb.’ And finishing off the whole thing is a star-studded tribute to Buddy Holly and the one and only Stevie Ray Vaughan. A who’s who of guitarists performs Holly’s ‘Not Fade Away’ and SRV’s ‘Texas Flood’ for the night’s biggest finish. Austin City Limits Celebrates 40 Years was taped live at the ACL Live at the Moody Theater and the show’s original studio, Austin PBS affiliate KLRU’s Studio 6A. The complete list of performers is: Alabama Shakes, Doyle Bramhall II, Jeff Bridges, Gary Clark Jr., Sheryl Crow, Double Trouble, Joe Ely, Mike Farris, Foo Fighters, Grupo Fantasma, Buddy Guy, Emmylou Harris, Robert Earl Keen, Kris Kristofferson, Lyle Lovett, Willie Nelson, Bonnie Raitt, Robert Randolph, Kenny Wayne Shepherd and Jimmie Vaughan.